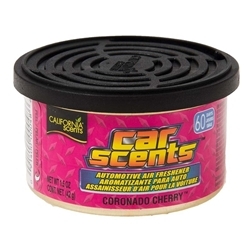 California scents were founded in 1993. Although they are based in California they provide quality Air freshening products worldwide. We stock a variety of amazing fragrances which are long lasting and made from 100% pure organic produce. Due to the quality of their products California scents are very much considered a leading air freshener provider, providing you with the best! An organic alternative to ONA Gel/Blocks, these scented blocks come in a powerful, cherry-scented flavour.